Sometimes simple is best. And, for me, that’s how I feel about Egg Salad Sandwiches. 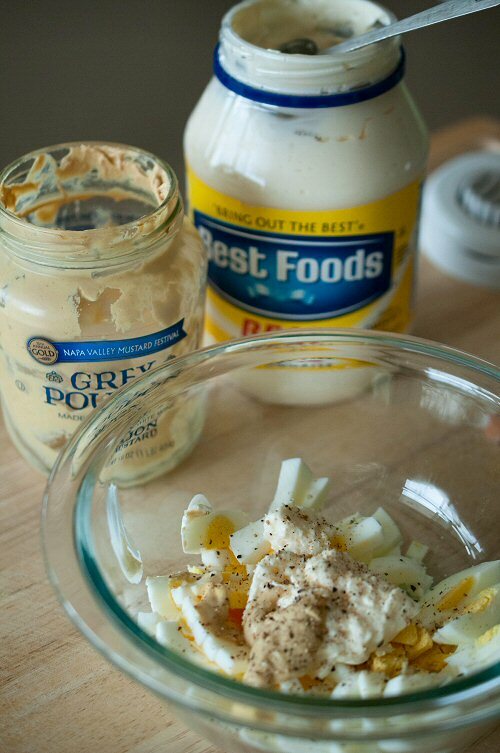 Three ingredients, plus a little salt and pepper, are all I need in my egg salad. Which may be why I make them so often for lunch. 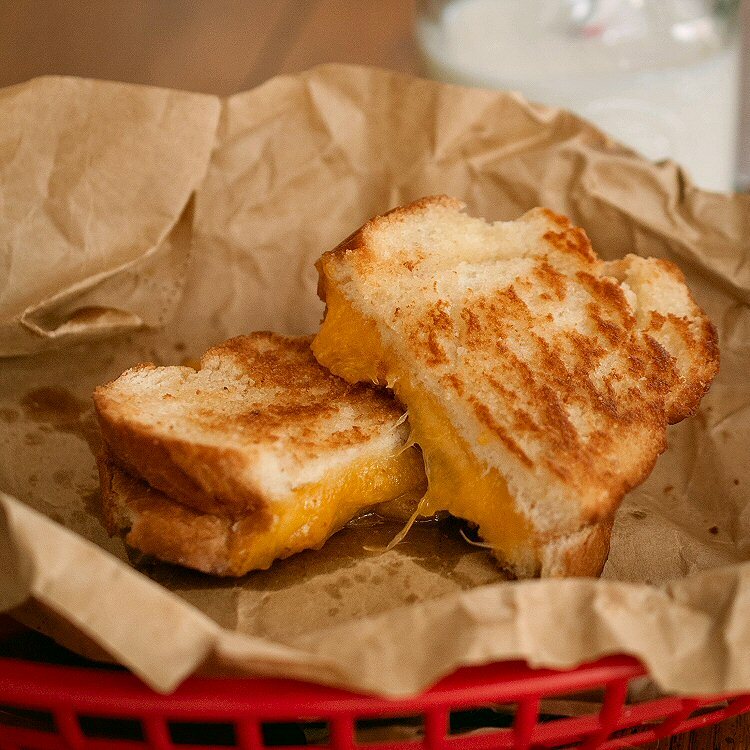 This sandwich only takes a few minutes to make, and most of that time is the time it takes to boil an egg. We have a favorite deli in Colorado where Jon orders a Hell’s Kitchen sandwich. 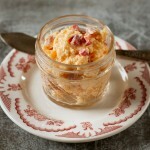 It’s egg salad with a slice of crisp bacon and a splash of cajun hot sauce. 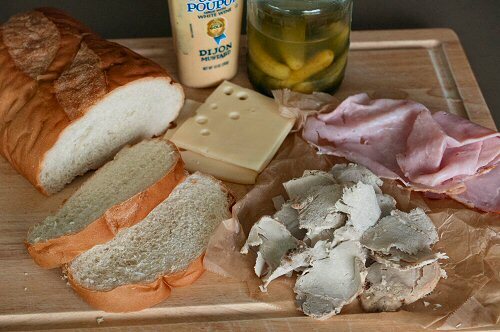 I’ve made this sandwich at home for him. 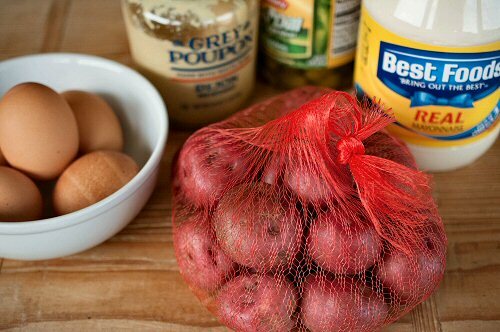 I just start with my perfectly simple egg salad and add a little meat and heat. 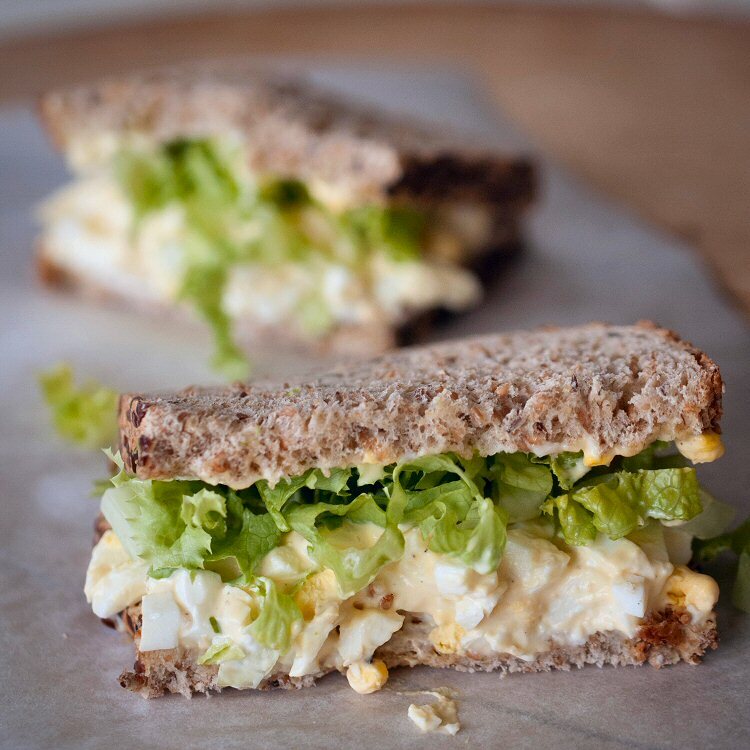 That’s the beauty of egg salad. 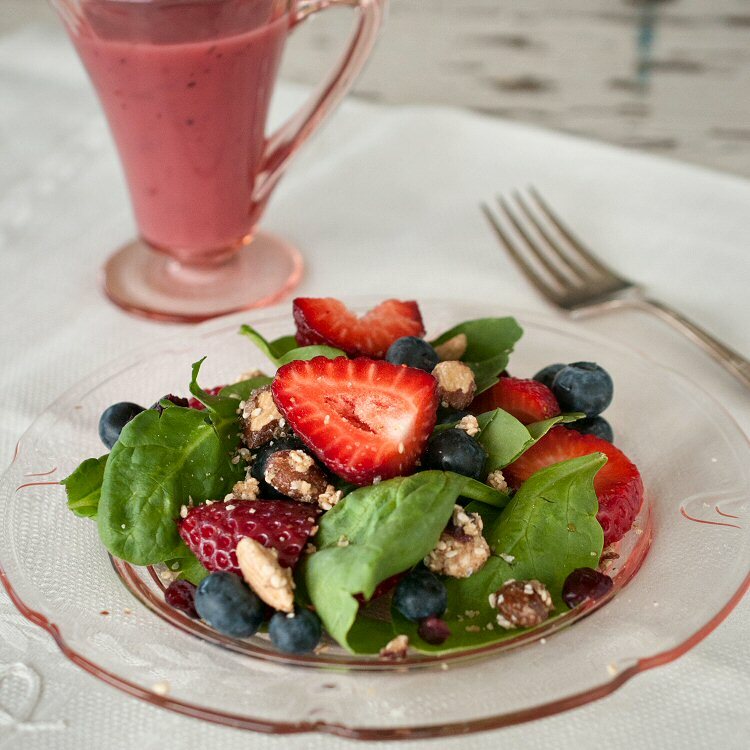 It can easily be dressed up or made simple to satisfy a variety of tastes. I think the key to this recipe is to use good mayonnaise. There are just some things where you shouldn’t show your frugal side. 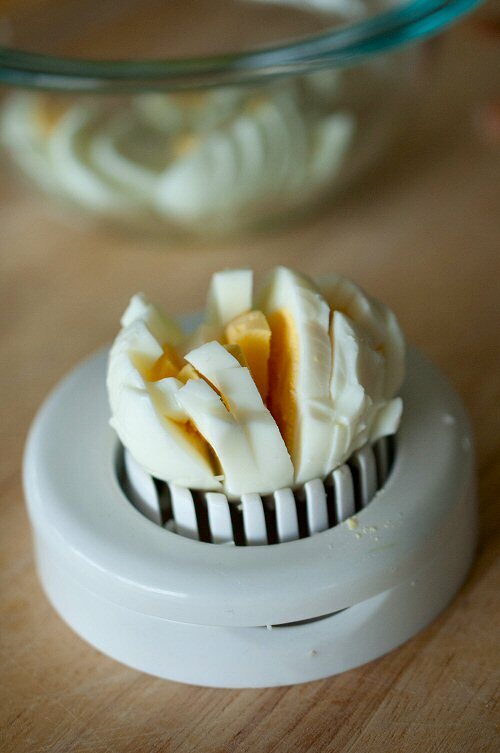 If the thought of dicing eggs with a knife seems a bit cumbersome to you, you can do what I do and use the egg slicer. 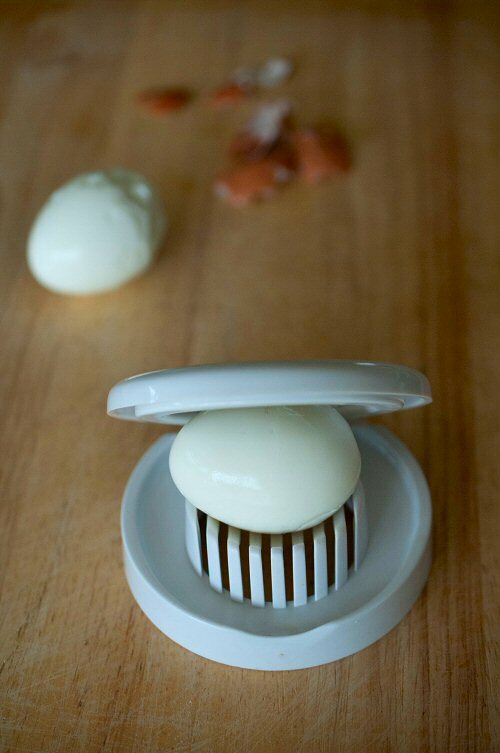 After you do the initial slice, turn the egg a quarter turn, slice again and you’ll have diced eggs. 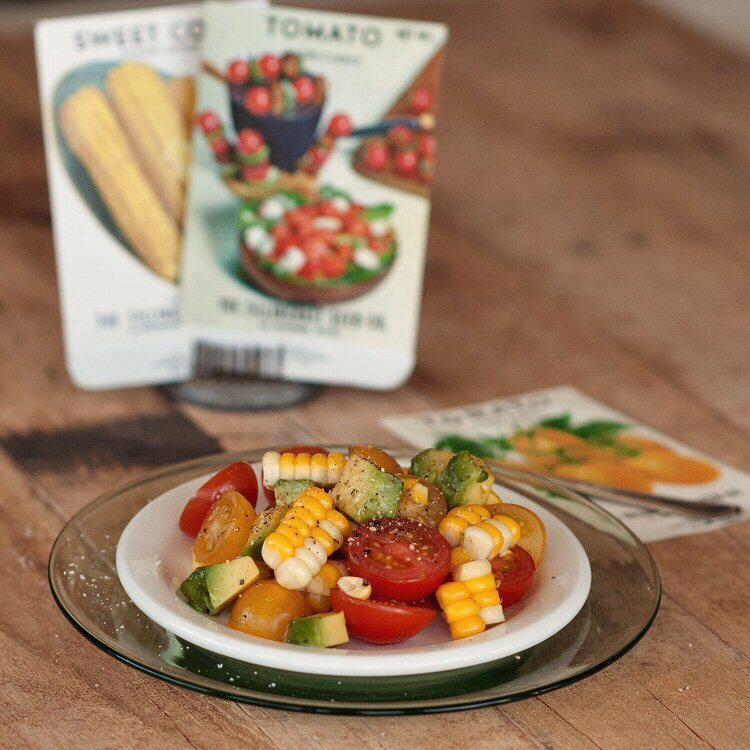 Simple food. Simple post. Happy day.